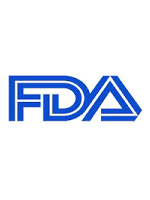 The U.S. Food and Drug Administration today approved Maci (autologous cultured chondrocytes on porcine collagen membrane) for the repair of symptomatic, full-thickness cartilage defects of the knee in adult patients. Maci is the first FDA-approved product that applies the process of tissue engineering to grow cells on scaffolds using healthy cartilage tissue from the patient’s own knee. Knee problems are common, and occur in people of all ages. Cartilage defects in the knee can result from an injury, straining the knee beyond its normal motion, or can be caused by overuse, muscle weakness, and general wear and tear. Maci is composed of a patient’s own (autologous) cells that are expanded and placed onto a bio-resorbable (can be broken down by the body) porcine-derived collagen membrane that is implanted over the area where the defective or damaged tissue was removed. Administration should be performed by a surgeon specifically trained in the use of Maci. Each Maci implant consists of a small cellular sheet containing 500,000 to 1,000,000 cells per cm2 (about 0.16 square inches). The amount of Maci administered depends on the size of the cartilage defect, and is trimmed to ensure that the damaged area is completely covered. Multiple implants may be used if there is more than one defect. The safety and efficacy of Maci were shown in a two-year clinical trial designed to demonstrate reduced pain and improved function in comparison to microfracture, an alternative surgical procedure for cartilage repair. The trial included 144 patients (72 in each treatment group). A majority of the patients who completed the two-year clinical trial also participated in a three year follow-up study. Overall efficacy data support a long-term clinical benefit from the use of the Maci implant in patients with cartilage defects. The most common side effect reported by people who received Maci were: joint pain, common cold-like symptoms, headache and back pain. Maci is manufactured by Vericel Corporation, headquartered in Cambridge, Massachusetts. US Food and Drug Administration. FDA approves first autologous cellularized scaffold for the repair of cartilage defects of the knee. Updated December 13, 2016.